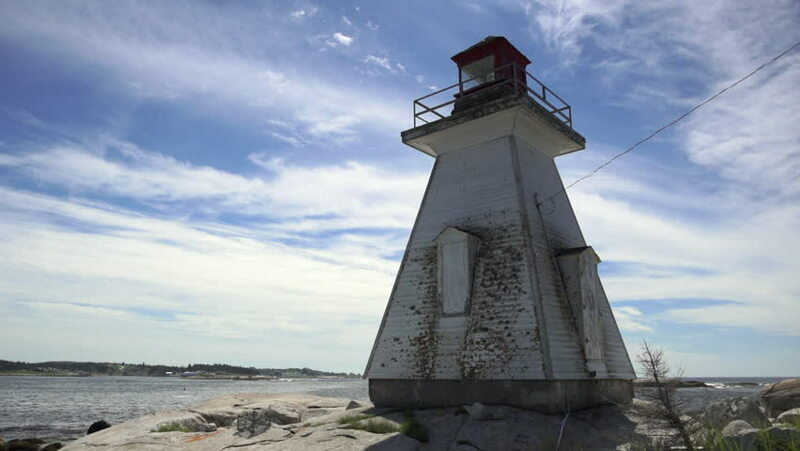 A time-lapse of an old lighthouse set against, sweeping clouds, crashing waves and the rocky shores of Nova Scotia's atlantic ocean. Located at the mouth of St Margaret's bay, near Peggy's Cove. hd00:26An old lighthouse set against the crashing waves and rocky shores of Nova Scotia's atlantic ocean. Located at the mouth of St Margaret's bay, near Peggy's Cove. 4k00:19LUDINGTON, MICHIGAN - CIRCA 2010s - A lighthouse stands in lake Michigan near Ludington, Michigan.